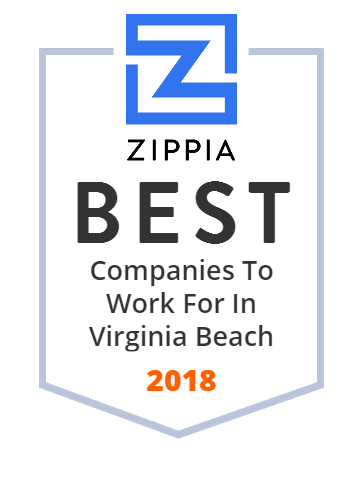 We hand-curated a list of the best companies to work for headquartered in and around Virginia Beach, VA using data on salaries, company financial health, and employee diversity. Headquartered in Virginia Beach, Virginia, Management Consulting consistently delivers flexible, creative and cost effective solutions at the best value. Since its inception, Management Consulting has been true to its mission which is to meet the needs of each of their customers by providing the right people, products and services at a fair price, every time. They provide their clients on-site service in the areas of demand planning, integrated supply systems, third party logistics, sourcing, inventory management, distribution management, warehousing services, and fleet management. For over 30 years, LifeNet Health has been the world's most trusted provider of transplant solutions, from organ procurement to new innovations in bio-implant technologies and cellular therapies. This established company is a leader in the field of regenerative medicine, while always honoring the donors and healthcare professionals that allow the healing process. Navy Exchange is a retail store chain owned and operated by the United States Navy under the Navy Exchange Service Command. Armada Hoffler Properties is a vertically-integrated, self-managed real estate investment trust with nearly four decades of experience developing, building, acquiring and managing high-quality office, retail and multifamily properties located primarily in the Mid-Atlantic and Southeastern United States. This trusted firm also provides general construction and development services to third-party clients, in addition to developing and building properties to be placed in its stabilized portfolio. Visit Farm Fresh Supermarkets, a NC & VA Grocery Store, here. Freshness you deserve. Savings you expect. Headquartered in Boston, Massachusetts, Keolis North America carries nearly 50 million passengers each year in the U.S. and Canada. The Tidewater Jewish Foundation supports the Federation, synagogues and Jewish agencies in the Tidewater area of Virginia including Hampton Roads, Norfolk, and Virginia Beach. Founded in 1984, The Tidewater Jewish Foundation was created to establish deep roots of philanthropy that would bear fruit for future generations. Its formation made it possible for individuals to fulfill their philanthropic intent and to enrich their lives through tzedakah. Caliper, Inc. provides industrial and clerical staffing services. It engages in sourcing, screening, and recruiting candidates for accounting/human resources, administrative/clerical, banking/finance/insurance, engineering, general/other, healthcare, information systems, management, professional, and sales and marketing categories. The company was founded in 1983 and is based in Virginia Beach, Virginia. As of March 29, 2017, Caliper, Inc. operates as a subsidiary of CorTech, LLC. At K Van Bourgondien, flowers are more than just their business. They represent a rich family tradition that began nearly 200 years ago in Holland where the Van Bourgondien family first began growing tulips. They started planting small patch of bulbs designed for the cut-flower trade and has eventually grown into planting Dutch bulbs and perennials. Some of the flowers they grow are anemone, begonias, caladiums, calla lilies, cannas, and more. The Breeden Company is a Virginia real estate development firm that specializes in the residential, multifamily, commercial and resort development fields. This nationally recognized real estate services company has over 50 years of expertise in every facet of the industry. A family-owned and operated company since 1961, The Breeden Company has grown into one of the most valued real estate development firms on the East Coast. AMSEC LLC provides marine engineering and design, waterfront systems modernization, testing and maintenance, life-cycle integrated logistics, information technology (IT) and data management, and training services in the United States and internationally. This innovative company also offers maintenance and modernization services such as upgrades and repairs, maintenance planning, modernization support, maintenance support, and manufacturing and fabrication services for machinery and equipment, and more. The Signature at West Neck is an Arnold Palmer Signature design that offers a beautiful and challenging championship golf course, memberships, golf outings and a 24,000 square foot clubhouse with a covered verandah and terrace with views of the golf course. They also have The Signature Grille which features a casual, full-service bar and grill as well as an elegant dining room which makes it the perfect spot for weddings, private parties or receptions. Whether you're buying your first home or refinancing, our team will ensure the smoothest, most enjoyable experience you'll ever have with a mortgage company. DBS is one of the most successful POS solution providers in the United States. This trusted company takes the time to listen to their customers and understand their business needs, with the idea that they are developing customers for life. Some of their customers are in the specialty retail, table service and quick service restaurants, and school districts industry. Headquartered in Virginia Beach, Virginia, DBS has additional offices in the metropolitan Washington, DC area and Raleigh, NC. ICI Services is a mid-sized professional services company formed in 1999 by several long-term Navy government employees. Axis Global Enterprises is a full service general contractor, providing construction and integrated security technology solutions to government and commercial clients in Virginia and North Carolina. For over fifty years, Checkered Flag MINI holds the distinction of being the only new MINI dealer to have sold the originals in the sixties! From then on, this reputable company has grown to be one of the premier dealerships in the country. With primary concern on customers' satisfaction aslong with their brand new larger location, they plan on exceeding past performances and excel in client satisfaction. Checkered Flag MINI offers an online dealership as well as wonderful face-to-face interaction in any of their locations including Virginia Beach, Virginia. Venture Corporation Limited was founded with the aim to address the supply and demand issue surrounding valuable domain properties. This premium domain leasing platform offers a win-win solution for premium domain owners and new brands: perpetual domain leasing. Venture Corporation Limited has around 50 employees and nearly $5 million in revenue.